The medieval network of canals hidden underneath the city is opened to explorers each year. A network of medieval canals still snakes its way deep below the city of Salzburg, directing a steady stream of alpine water beneath the feet of tourists and locals alike. For just three weeks each year, the subterranean passageways are open to explorers hoping for a glimpse of the city’s ancient underbelly. Terrifically morbid cemetary and site of famous Paracelsus' grave. Ugly 18th-century dwarf statues living in a perfectly landscaped Austrian garden. The Almkanal is a system of connected canals beneath Salzburg. 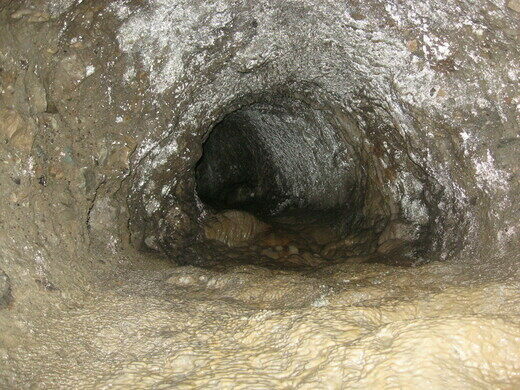 It’s considered to be one of the oldest tunnel systems in Europe. The earliest fragments are thought to date to sometime during the 8th century, though its more extensive construction started in the early 12th century. It was originally made with materials scavenged from nearby Roman ruins. Over the centuries, the Almkanal was widened and lengthened to bring more water to the growing city. It’s also believed to have been used as an escape route by those fleeing Salzburg to seek shelter in the mountains during turbulent times. Each September, people can climb down into the tunnels after the city drains them for maintenance. A guided tour takes visitors deep into Salzburg’s underbelly, where they can slog through puddles while peeping at the old marble slabs and Roman tombstones used to build some parts of the canals. Snagging a spot on one of these tours isn’t the only way to witness the waterway. Though most of the canal network is buried, there are some places within the city where the water bubbles to the surface. It’s used to supply power to mills throughout Salzburg, and even helps power the air conditioning at the Salzburg Museum and the Großes Festspielhaus, the city’s large festival house. 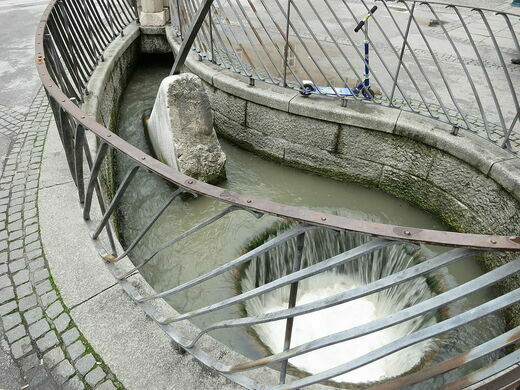 The water surfaces at the bottom of Hohensalzburg Castle after an approximately 1,300-foot tunnel and runs a mill-wheel. You can see the water before it turns the mill-wheel, which was once run by the monastery of St. Peter’s and is now used by a nearby bakery to grind flour for their wonderful sourdough bread. 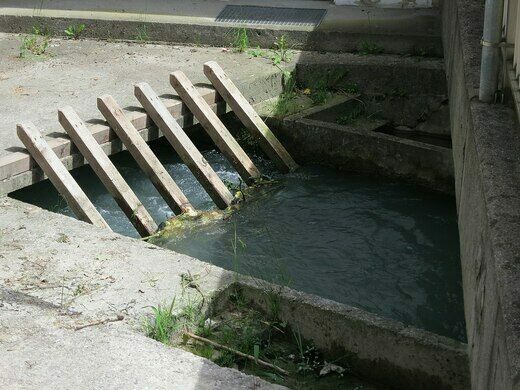 The Almkanal also touches the surface at the end of the Hohensalzburg funicular (just uphill from the mill-wheel). There is a small presentation on the history of the waterway, a quaint drinking fountain, and a “Love Nook” for everlasting love. The GPS coordinates and address lead to the grain mill at St. Peter's Abbey. Limited underground tours are offered each September, when the canals are drained. Quite possibly the world's oldest restaurant. This 19th century cyclorama acts like an analogue time machine to a different era. The beautiful, ornate weather station is the most popular geocache in Salzburg. A small marionette collection located within the dark cellars of an 11th-century Austrian castle. A derelict bit of infrastructure from the canal that once ran through D.C. is landlocked in the heart of the city. A portal into the bricked up canal that runs through the heart of Washington D.C. This hidden stream beneath Indianapolis makes an appearance in the best-selling novel "Underground Airlines."